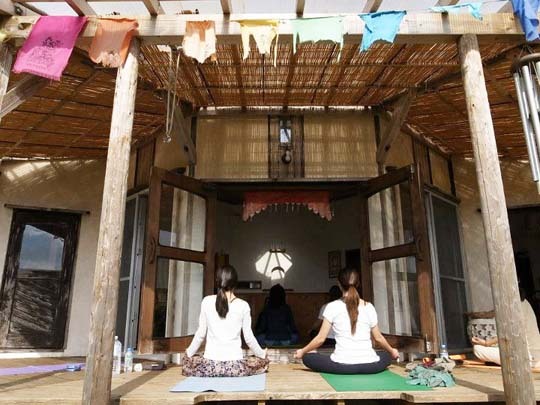 Ayako Ohashi’s yoga classes are held in Tamagusuku and Shuri Hills Garden. Yoga is a means of searching for relaxation in the body, while the mind finds peace and the heart, too, feels the nature of Okinawa through chakra activation. 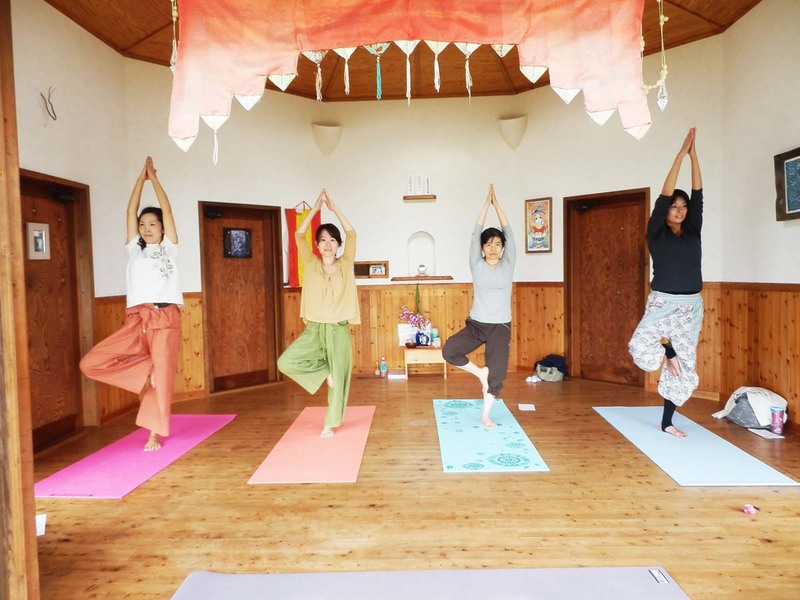 New classes are getting under way in Nanjo City and Naha, based on Sivananda yoga, which combines a pranayama breathing method and meditation and asana with balance. Yoga brings the world into comparative slow motion to allow those practicing it to learn the art of relaxation. Meditation is an important part of yoga, and acively praticed during the classes. Ayajo Ohashi is a qualified yoga instructor certified by Sivanda Ashram. certified by completion of the TTC course of Sivananda Ashram in Kerala State, South India. Classes are being conducted Tuesdays and Thursdays at Hakkado, in Tamagusuku, Nanjo City. Tuesday classes are 2 p.m. ~ 3:30 p.m. Thursday classes are taught at 6 p.m. ~ 7:30 p.m. Friday classes are being offered at Shuri Hills Garden, in Matsukawa, Naha City. Those classes run 10:30 a.m. ~ noon. Drop-in participation is ¥1,500 per 90-minute session. Membership is ¥1,000 per session for Tuesday and Thursday classes, including tulsi tea. Friday classes are ¥1,000 but there’s a ¥3,500 rate for five tickets. Information is available at flawaa.saiko@ezweb.ne.jp for Yoga Amrita.